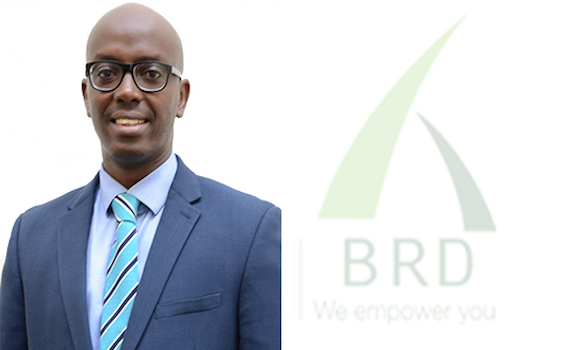 The Board of Directors of the Development Bank of Rwanda (BRD) has told Taarifa that “change is imperative in any sphere,” in response to queries about its former CEO’s dismissal. Despite Kanyankole’s unexpected departure, many in the corporate circles speak highly of him as a hardworking, intelligent, genuine and a man of integrity. He had had two years left to complete his second and last tenure. Eric Rutabana replaces Kanyankole with “immediate effect.” He was CEO of Business Partners International Rwanda before his appointment as Head of Corporate and Investment banking at BPR. The Board, however, expressed gratitude for Kanyankole’s achievements. “On behalf of the Board and Management, I would like to thank Mr. Alex Kanyankole for his dedicated service in leading the bank since July 2013. We are privileged to have worked with him, and commend his able leadership during the development and implementation of the Bank’s new strategy. We wish him success in his new endeavors,” said Chairman Francis Mugisha.